Let the critters remove themselves with this kit. 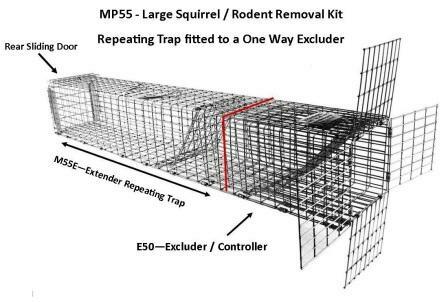 Perfect for squirrels, rodents and similar size animals. It is extremely simple to use and very effective. Consists of one Excluder and one Extension Repeating Trap (ERT). Attach ERT over the animals den opening with the mounting wings. Slide the Excluder over the ERT and hook into place. 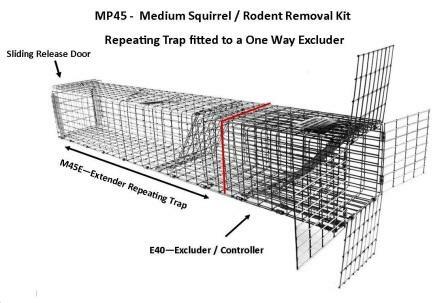 As critters exit, the excluder will direct them into the repeating trap. 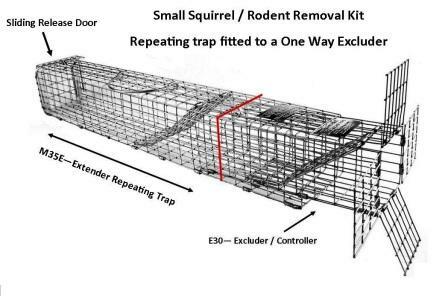 To remove captured animals from the property, simply unhook the Excluder from the ERT. We sell these kits in 3 different sizes.